The ‘furnace ants’ or ‘honeypot ants’ present a very large genus of ants, Melophorus, confined to Australia. Long believed to be megadiverse, some scientists have even suggested that the group may contain ‘well over 1000 species’. However, to this point, only 32 species and subspecies had been described. Scientists Dr Brian Heterick of Curtin University, Dr Mark Castalanelli of Ecodiagnostics Pty Ltd and Dr Steve Shattuck of the Australian National University, funded by an internationally competitive Australian Biological Resources (ABRS) grant, set out to find the true facts. As a result, they discovered as many as 74 new species belonging to Melophorus. In their study, published in the open access journal ZooKeys, they also provide a taxonomic key to the workers of a total of 93 species in the genus. Among the studied ants, there are quite bizarre ones, including a species (Melophorus hirsutus) whose eyes are strangely protruding out of his head to a varying degree. In the extreme cases, the eyes are so pointy that could be likened to ice-cream cones. Named many years ago, this ant appears to be older than the rest of the examined living species. Furthermore, unlike most of them, it does not seem adapted to heat. It is confined to the wet eastern coast of Australia. Dr Heterick spent two weeks collecting specimens in the often rugged and forbidding terrain of Western Australia, while the team also asked a number of major museum collections to loan them specimens. The newly collected ants were placed in alcohol and subjected to genetic tests using one mitochondrial and four nuclear genes. The findings were then compared with those from physical examinations to prepare the taxonomic key – a set of distinctive features per species that can be used to differentiate within the group. 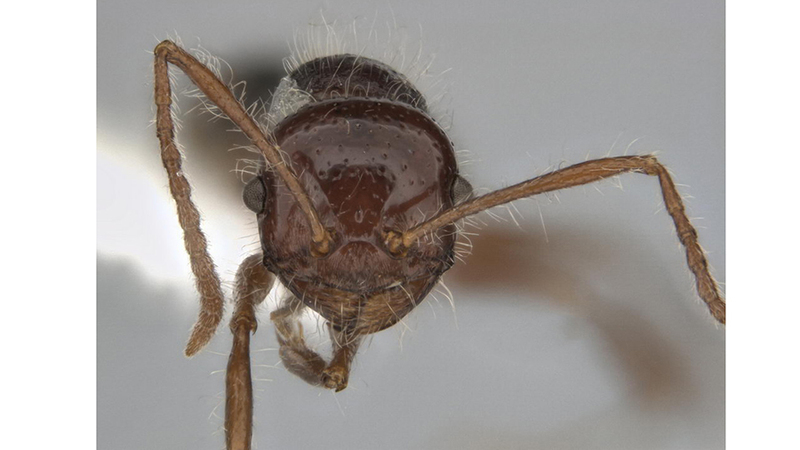 Given the generally complex nature of these ants, the authors expect for the genus to further expand in future. They speculate that even though the numbers may increase to around 100 species, not the ‘well over 1000’ previously predicted, they still illustrate an incredible diversity. The authors estimate that Melophorus arose around 35 million years ago. The closest relatives of the genus are also confined to the Australasian region with the exception of a single genus living in South America. Furthermore, the genus is also quite astonishing thanks to another trait shared among the species. “By the way, this group of ants has a thing or two to tell those of us who get lost easily!” comments lead author Dr Brian Heterick.